Bubble Waffles are a fun and tasty snack made from a waffle custard flavored batter and cooked in machines with a special egg shaped mold. Today, I made matcha flavored bubble waffles with the bonus of adding mini-mochi bites when cooking the waffle. 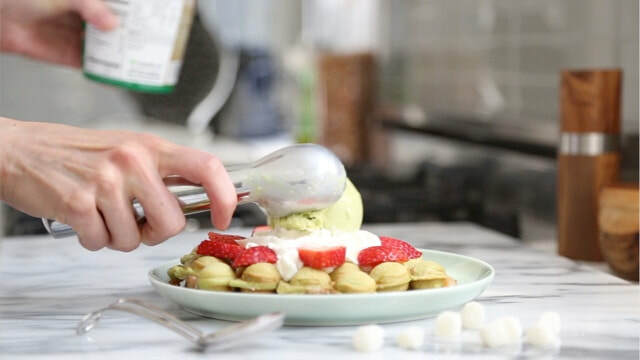 The result was a bubble waffle with a more crispy-chewy texture from the bursts of mochi. Surprisingly it's not as soft as one would have thought mochi to be, but the texture is fun when you want to change things up. 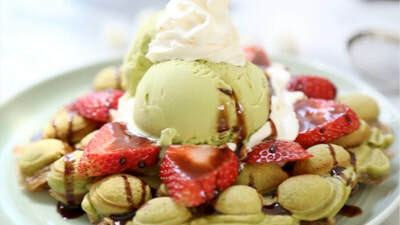 I also like to top my matcha bubble waffles with some green tea ice cream, whipped cream, and some strawberries. The presentation of this dessert when made this way makes it seem more grand and desserty. 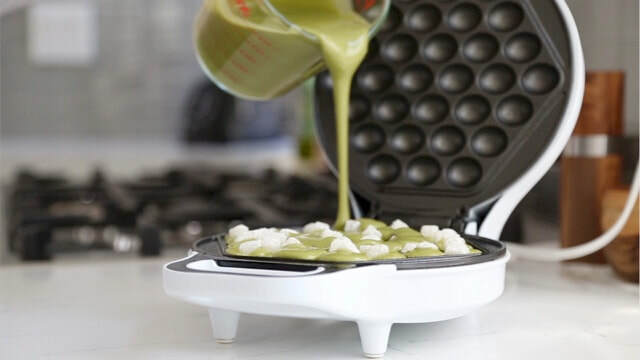 Preheat your bubble waffle maker, then lightly spray with non-stick cooking oil before pouring in the batter (may vary depending on the size of your waffle maker). 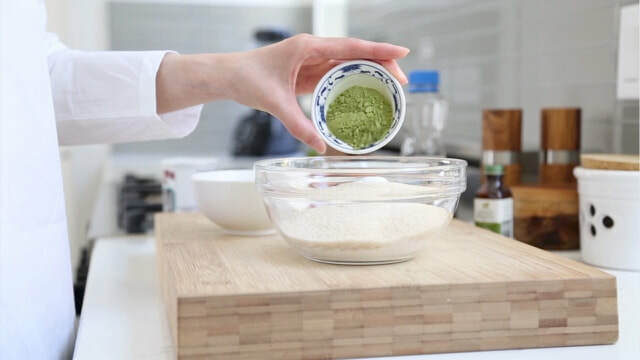 Add in mini mochi bites if desired at this time. 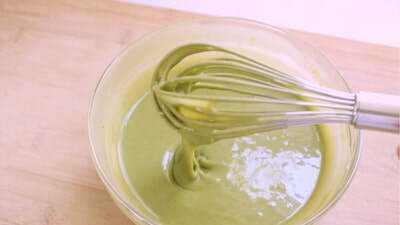 Cook the batter for approximately 3-4 minutes (or until golden brown) following the method and steps in the video.